Parenting toddlers can be tiring...and exciting! Our new and refreshed Toddler Pack presents those simple yet vital concepts to your clients to help them discover the best way to parent their toddlers. 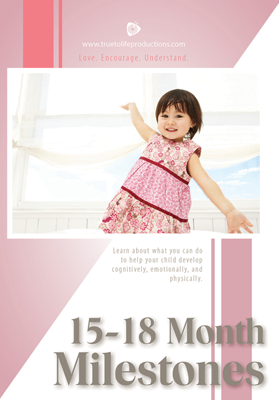 Topics include Tantrums, Sleeping, Milestones, Siblings, and more. This pack includes 15 lessons uniquely designed to equip parents in the best way possible for this trying season. Each lesson is written in our easily understood format with questions designed to grow relationships and enhance understanding. At the conclusion of every lesson homework is provided for the client to complete at home. Most homework in this pack reinforces the critical main points of each lesson, including: car seat safety routines, biting, potty training, whining, siblings and more. After clients complete the appropriate lessons in the Main Curriculum, the Toddler Pack is here to help them raise emotionally and physically healthy children. Module T1 – Module T1 contains five lessons designed to help new mothers understand the importance of milestones. 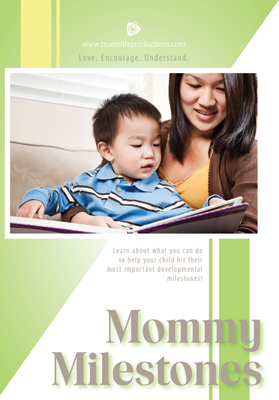 The first lesson covers Mommy Milestones including what types of milestones there are and how to use them. Additional lessons cover the age specific milestones which will help prepare your clients for what is coming next. It will also help them spot areas where their children may need help while considering a child’s unique temperament. 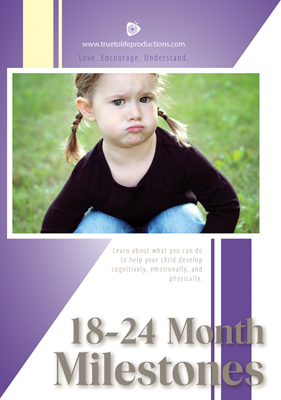 Module T2 – Module T2 focuses on how to work with your toddler’s behavior in special circumstances. Covering subjects like Tantrums (both avoiding and handling it in the moment), issues surrounding new siblings, and strategies for success. These lessons are perfect to help a mother work through circumstances in the life of a toddler. Module T3 - Module T3 is a hands-on set of lessons to help with the day-to-day parenting of a toddler. 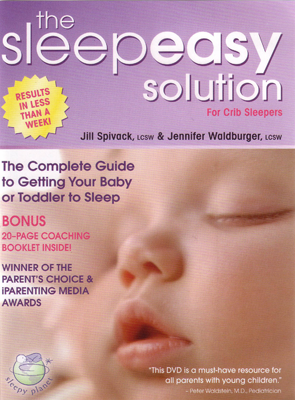 They include strategies to deal with whining, bedtime, sleeping all night, and more. These lessons offer practical and usable advice. 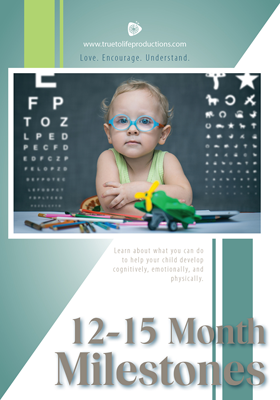 In addition, new lessons from Love and Logic help show the “bigger picture” with your child and work toward having the happiest toddler on the block. Lesson 1.1 - Mommy Milestones New 2017! Lesson 1.2 - 12-15 Month Milestones New 2017! Lesson 1.3 - 15-18 Month Milestones New 2017! Lesson 1.4 - 18-24 Month Milestones New 2017! Lesson 1.5 - 24-36 Month Milestones New 2017! 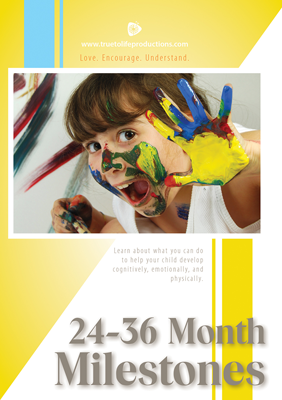 This DVD is a research-based look at how children, 1-3 years of age, think, feel, and learn. 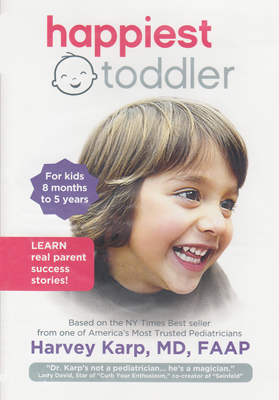 Created to help improve parent-child interactions during the important toddler years, it features commentary from an early-learning expert and real-life experiences from parents who reveal ways they’ve been successful in parenting. 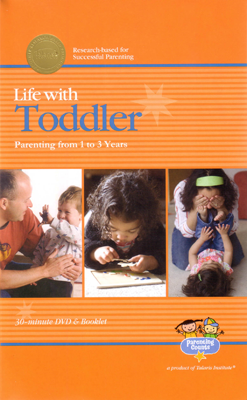 It provides tips about how to connect, communicate, and support your toddler in early learning activities. Designed with busy parents in mind. 2008. Of all the behavioral problems parents face from their children, temper tantrums may be the most upsetting, as well as the hardest to manage. 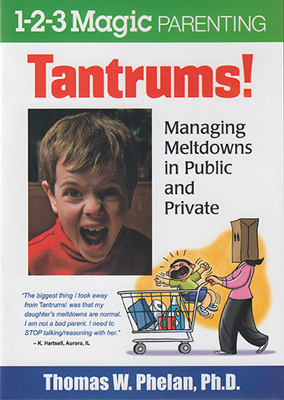 In this DVD, you will learn: The three main causes of tantrums; The two goals of tantruming children; The problem with distraction; The power of “The Ten-Second Rule” ; A four-step process for meltdown management; and How to handle tantrums in public. A thorough discussion of the universally feared temper tantrum. Discusses the causes, the reasons, and the appropriate responses to those screaming fits thrown in response to the word “no.” We learn part of the explanation for these outward demonstrations is his sudden realization he cannot accomplish some new activity he was determined he could. In this discussion, we learn an adult definition or understanding of a word or a behavior is not necessarily shared by our children. When a child under the age of six takes something which doesn’t belong to him, we call it “stealing.” However, in the child’s mind, he has simply helped himself to something he wanted. The world, he thinks, revolves around him. Listed are child motivations, appropriate adult responses, and age-appropriate consequences. Lesson 2.4 - Siblings New 2017! This technique is trusted worldwide by more than 1,000,000 parents, doctors, teachers ... and babies! It makes learning fast and easy with instruction, demonstrations, techniques, and tips from author/researcher, Dr. Joseph Garcia. It features interviews with parents and caregivers who share their experiences, and eye-opening footage of signing children. 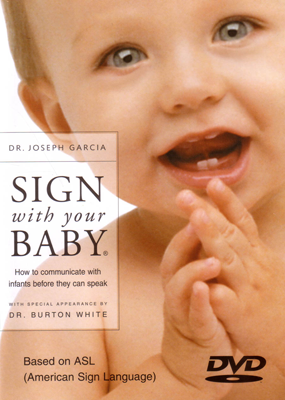 It is the most award-winning product of its kind for introducing American Sign Language (ASL) signs to hearing babies. 60 min., 2005-2011. 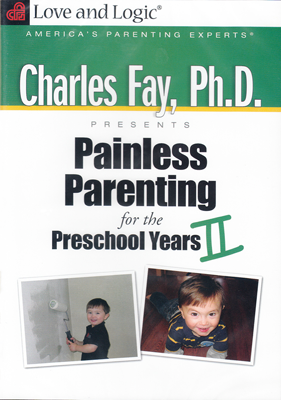 Charles uses entertaining stories and real-life examples while giving time-tested techniques for: dealing with misbehavior in public; handling temper tantrums and melt-downs; teaching them to listen the first time you ask; taking power-struggles out of bedtime; responding to whining, back-talk, or arguing; turning meals into fun times rather than frantic ones; how to get them off to daycare, school, etc. without pulling your hair out; and much more! 120 minutes. Children are less capable of communication than are adults. Whining is one way to ask for (or demand) some act or thing. As in all instances, involving inappropriate or undesirable behavior, there are basic components to the correct adult response: love, understanding, consistency, age-appropriate consequences, and an awareness of circumstances, activities or conditions which might cause problems. Does your child need lots of help to fall asleep? Does he wake through the night or take short naps? Help has arrived! Bring your own sleep coaches right into your living room! We’ll show you why your child isn’t sleeping, give you step-by-step methods to teach your child to sleep through the night and take great naps, and offer you emotional support and coaching. This package includes a 20-page booklet outlining specific details of your sleep plan, as well as sample schedules, Sleep Chart, and more. 97 minutes, 2007. Dr. Harvey Karp, noted pediatrician and child development expert, reveals a totally new and extraordinarily effective way to communicate with our “uncivilized” little toddlers. For 30 years, he has taught thousands of parents. America’s top doctors are lining up to praise this revolutionary new approach. Learn how to calm outbursts, stop 60-90% of tantrums, and build a loving and respectful relationship with your young child. 64 min, 2008. Lesson 4.1 - Toddler Accidents New 2018! They hit the ground running and are into EVERYTHING! Your busy little toddler will be exploring, playing, and discovering so many new things. They will also discover gravity and many of the dangers to being human. Bug bites, falls, bruises, cuts, and scrapes, just to name a few. Thankfully they heal well! 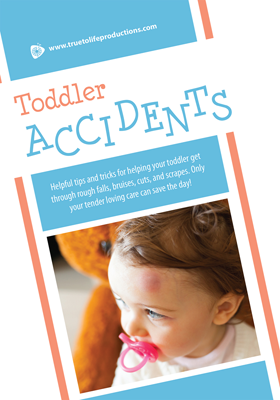 This video looks at the many ways a toddler can get hurt, and how your first-aid and loving hugs will save the day! Lesson 4.2 - Toddler Safety New 2018! Toddlers are busy little explorers who have lots of energy! They are fun but are INTO EVERYTHING! As parents, we cannot prevent every injury or mishap, but we can put some important preventative measures in place to help prevent serious, life-changing accidents. 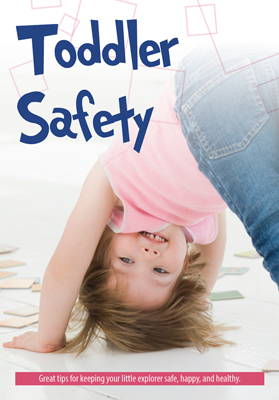 In this video we will look at ways you can keep your busy little toddler safe, and what to do in an emergency. Lesson 4.3 - Toddler Illness New 2018! 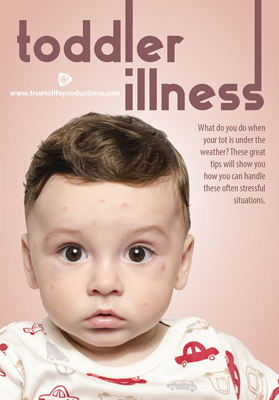 Your toddler is sick and you’re worried! And maybe even a little disgusted! Ugh! Snotty noses, vomiting, or diarrhea everywhere. Is it just a simple bug or something more? Do you go to the doctor NOW, or wait? It’s HARD when our little ones are sick, and their bugs definitely take their toll on us ALL! In this video, we’ll look at the more common respiratory, digestive track and skin illness your toddler may get, how to treat them, ways to help prevent illness, and when to call the doctor. Lesson 4.4 - Toddler Nutrition New 2018! Although toddlers share many things in common, they’re also each VERY unique. They know what they like AND don’t like, which can change from minute to minute. This is especially true when it comes to food. You want your toddler to get plenty of nutrition, but what do you do if they will only eat mac and cheese smothered in catsup? Wouldn’t it be great if mealtimes were one area in which EVERYONE could win? 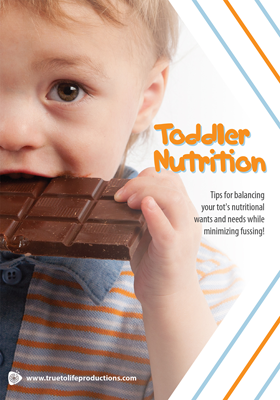 In this video, we’ll look at what your tot needs nutritionally, how to teach them good eating habits early on, and how to call a truce and make mealtimes pleasant for everyone. 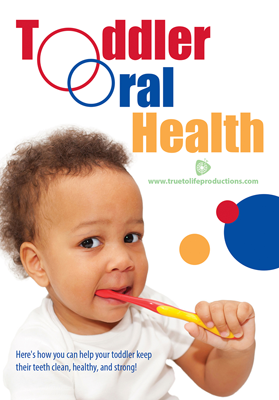 Lesson 4.5 - Toddler Oral Health New 2018! Your toddler has mouth full of pretty white teeth. They can bite and chew and smile in a way that melts your heart. But how do you keep their teeth healthy, and it is really important to? After all, they are going to lose them. In this video we will look at why your child’s oral health IS important to their overall health, how to teach them good teeth brushing habits, when to see the dentist, and what to do if your child has a dental problem.